Stressed? Tense? Do you need some time to pamper yourself, recharge your batteries or enjoy a quiet moment of serenity? There are so many reasons to take advantage of the camping's wellness area! A massage therapist will suggest treatments adapted to your wishes and needs: candle massage, Indian massage, Californian massage...In a private area where you can let yourself go under expert hands. Let yourself be guided to an ocean of well-being and relaxation in the wellness area at the camping Yelloh! 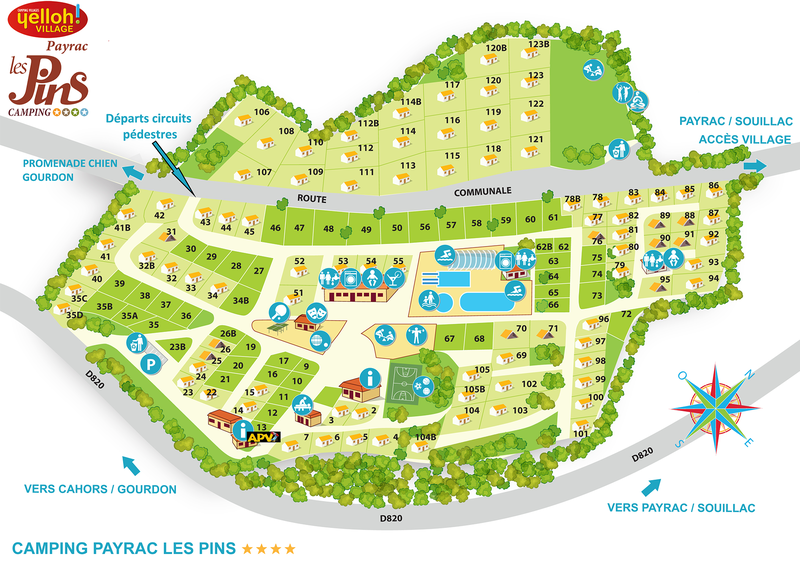 Village Payrac Les Pins. A jacuzzi and a spa await you for a few moments of wellness and gentle serenity. Settle in and relax in the whirlpool bath and discover the benefits of the jacuzzi. For a more convivial atmosphere, you can even enjoy these moments with friends!